There are two inspections, Inspection I and Inspection II. They always alternate so if your last maintenance was Inspection I the next one will be Inspection II and so on. Between each inspection (could be either Inspection I or Inspection II) there is always an Oil Service. So the maintenance sequence will go like this : Oil Service, Maintenance I, Oil Service, Maintenance II, Oil Service, Maintenace I and so on. 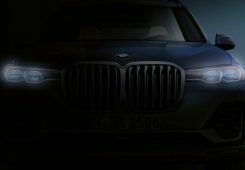 If you prefer to keep track of the service intervals yourself, the recommended interval is about 12 000 kilometers (7500 miles) or 6 months – whichever comes first. 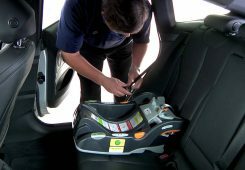 The job is very easy to perform and does not require any kind of special tools. The following tools are required for this particular work. The following spare parts are required for this particular work (parts marked with green checkmark are optional). 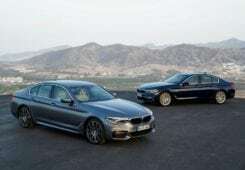 Note that the BMW internal numbers are intended for a BMW 535i E34 -89. Also note that the gaskets and o-rings usually are included in the oil filter package, that’s why I didn’t put any price example on those. Using a lift is the most convenient way for this particular work. 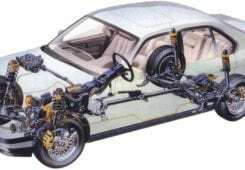 You will have plenty of working space and the car is level (helps to drain as much oil as possible and will give correct oil level readings). If no lift is available you can always jack up the car and place it on low jack stands or drive up on small ramps. 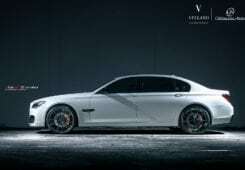 But first drive around your car for about 10-15 minutes (if not possible let the engine at least idle for about 20 minutes) to warm up the engine oil to operating temperature. When hot the oil will flow a lot easier and you will thereby removing more particles of metal and dirt when the oil is drained. On the M30 engines the oil filter is located inside an oil filter housing (a cylindrical container). The oil filter is in a form of a insert cartridge, so you only change the filter itself (not the housing which is common on more modern engines). 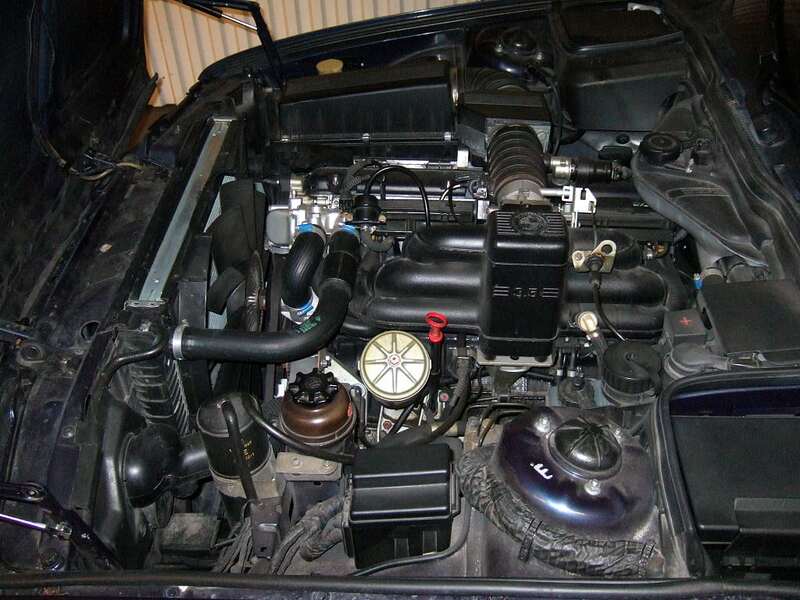 Engine bay of a 535i E34. 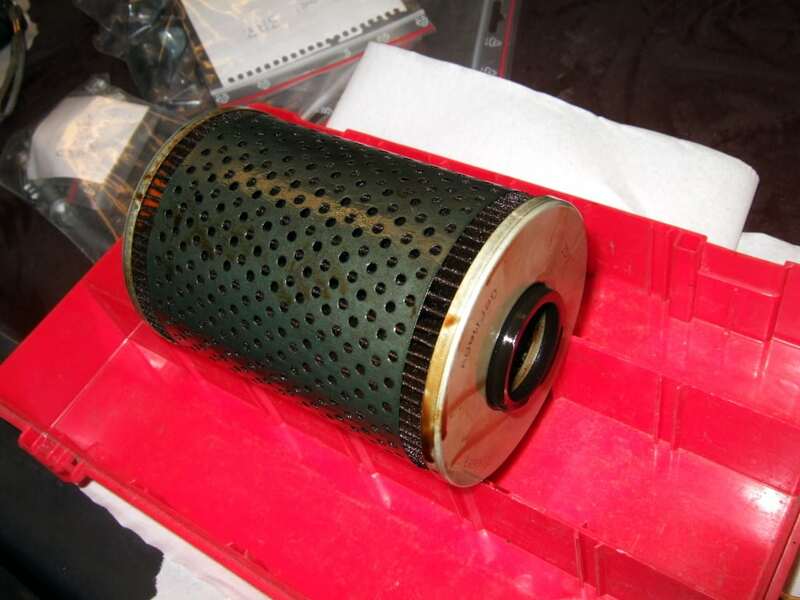 The oil filter is located inside the oil filter housing (the yellow cylindrical container next to the oil level dip stick). 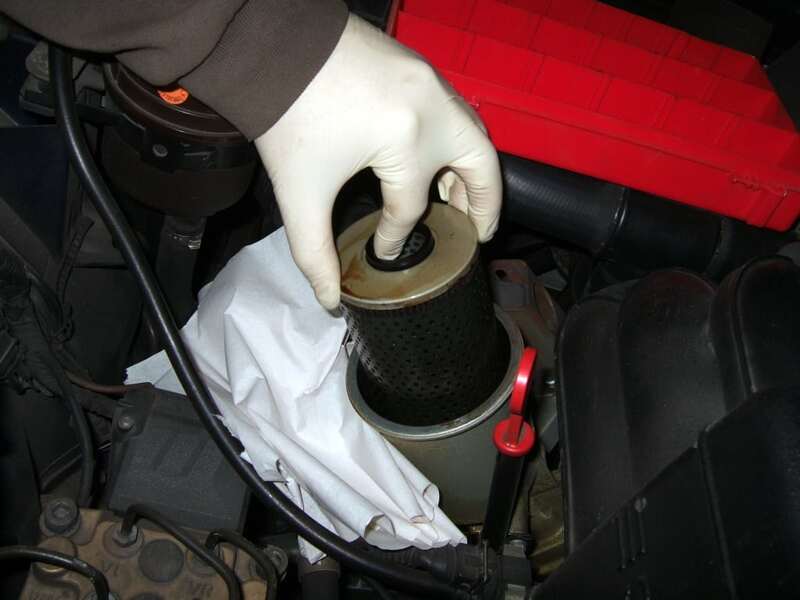 Before you start draining the engine oil, you need to drain the oil inside the oil filter housing. 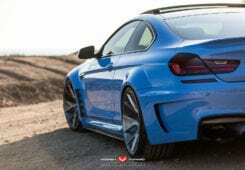 Otherwise you will make a total mess of the engine bay. The cover on the oil filter housing is clamped down by a long bolt. When you remove this bolt, a drain hole will open up at the bottom of the oil filter housing allowing it to be drained slowly from oil. Start by undo the the bolt holding the cover of the oil filter housing. Use a 13 mm socket or box-end wrench to undo the bolt. At the same time, push down the cover with your other hand (and hold some paper under it to catch if some oil should leak out). 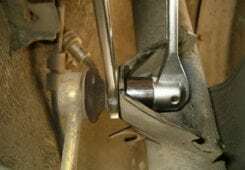 Remove the bolt completely and keep pressure on the cover for about 60 seconds or so – by then the oil level inside the oil filter housing should be low enough to be able to remove the cover. It is important that you push down the cover firmly, otherwise it will leak out oil! With one hand, loosen the bolt. With the other, hold some paper under the cover but also push down the cover (I’m not pushing down the cover in the picture – but you must do that otherwise oil will leak out). Remove the cover and simply pull up the oil filter. 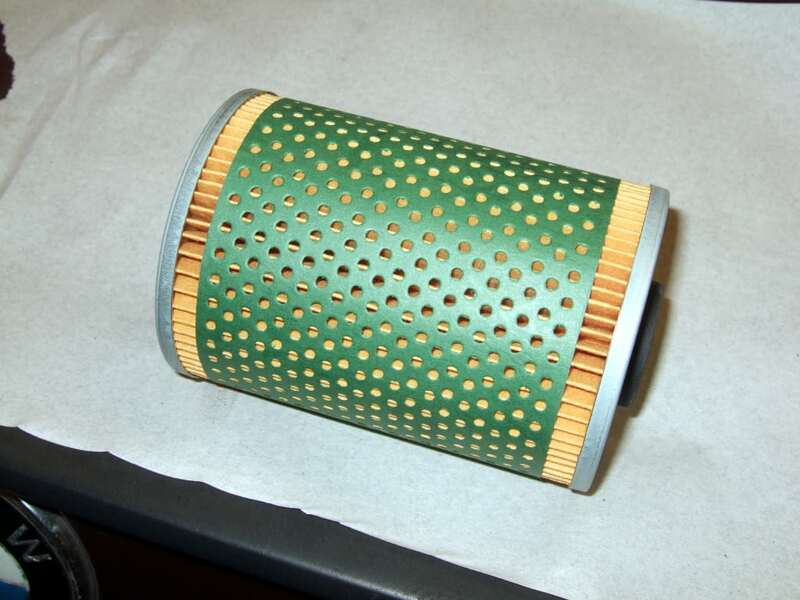 A normal used oil filter should look like the pictures below. It shouldn’t have been disintegrated in any way or have any other damages. Pull out the old oil filter. The old oil filter put aside for closer inspection later on. 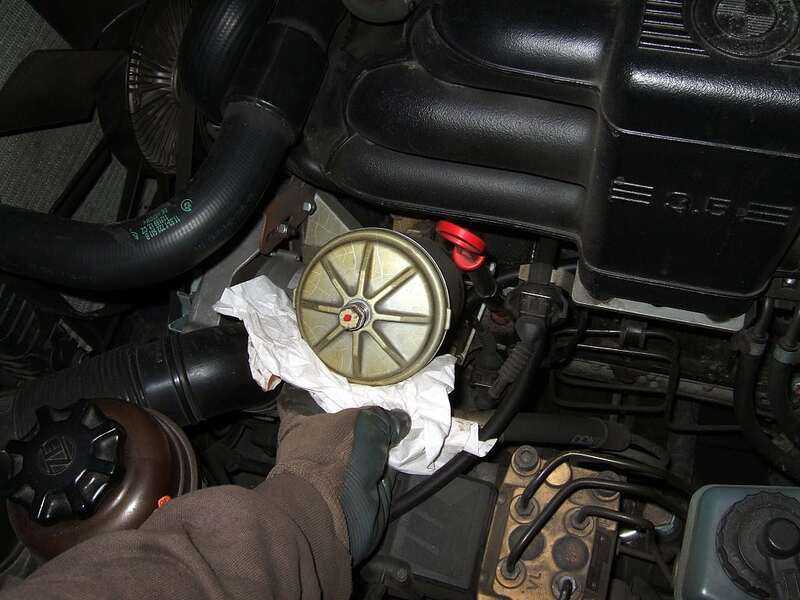 Start by removing the engine oil filler cap to aid the draining. Locate the engine oil drain plug at the bottom of the oil sump, it’s on the right hand side of the engine. 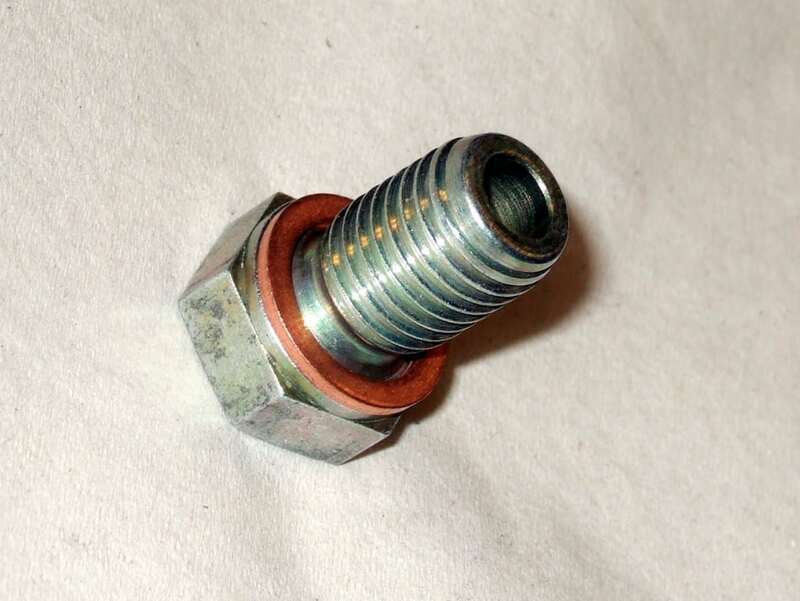 Locate the engine oil drain plug (17 mm hex head). Place a large enough pan or bucket under the drain plug (one that can accomodate at least the amount of oil you are supposed to fill up with later). When you remove the drain plug the oil is drained very quickly and there is no time looking for pans or buckets! 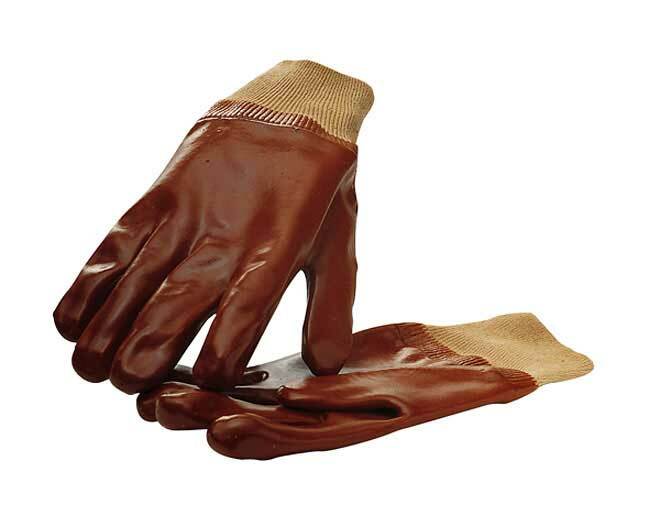 I recommend to wear some kind of protection on your hands – such as rubber gloves or similar. The engine oil can be quite hot – especially if you warmed up the engine as you are supposed to. Example of rubber gloves to protect your hands against hot engine oil (Biltema 38-277). Use your socket and ratchet handle (a box-end wrench or similar will of course also work just as good) to unscrew the plug. It is sometimes easier to unscrew the last turns by hand and at the last turn slightly pushing the screw towards the oil sump while unscrewing and when it is loose quickly remove it. The old engine oil is pouring out beautifully! 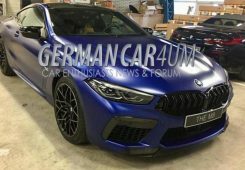 Expect between 5-6 liter of engine oil pouring out (the manual says 5.75 with oil filter change for a 535i E34). So have a large enough bucket for this – but also enough oil to fill it up again! 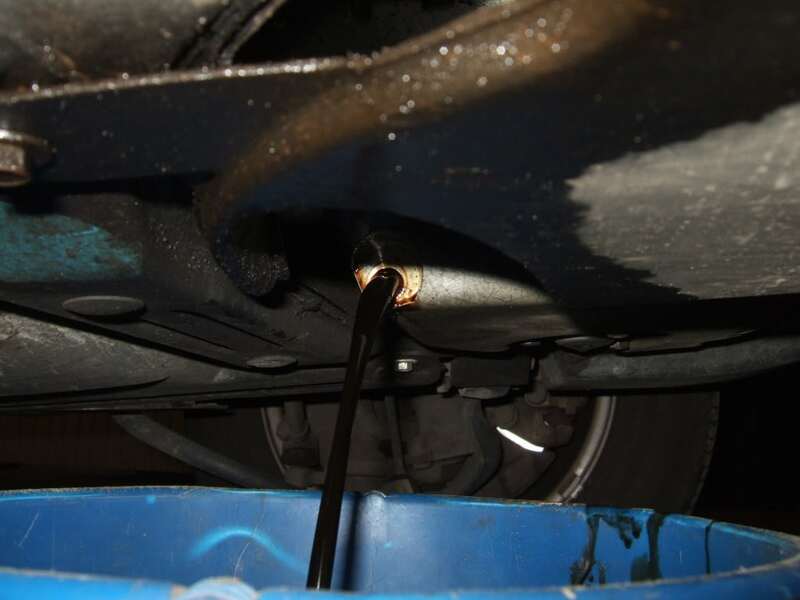 If you suspect some oil residues lying on the bottom of the oil pan, you can try to flush that out by pouring some engine oil (doesn’t really matter what type) into the engine oil filler hole once it goes from flowing to trickling. 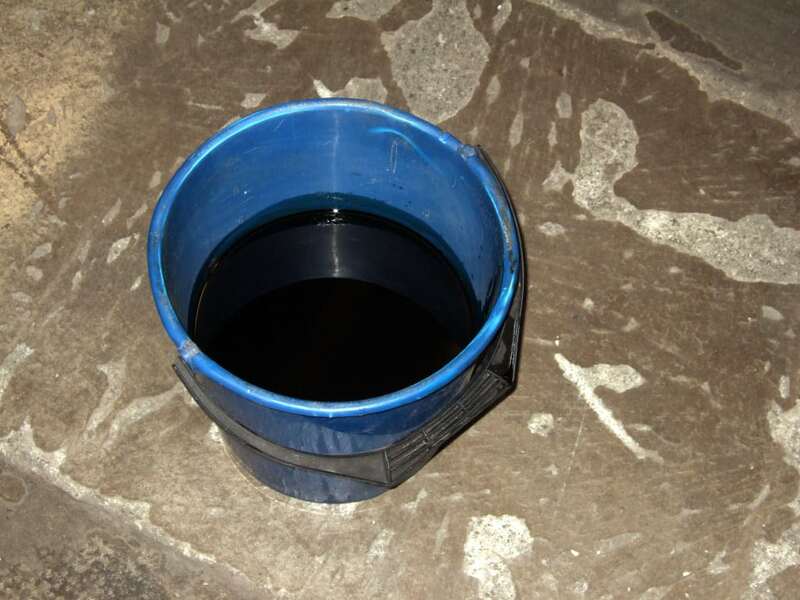 The old engine oil collected in a bucket. 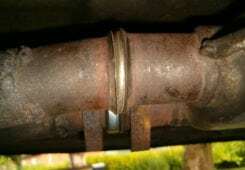 While you are waiting for the engine oil to drain completely (let it stay for some time) you can start preparing the oil filter, oil filter housing and draing plug to be mounted back. 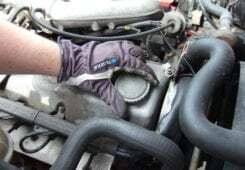 It is more or less useless (well not entirely but not far away) to change the oil without replacing the engine oil filter. 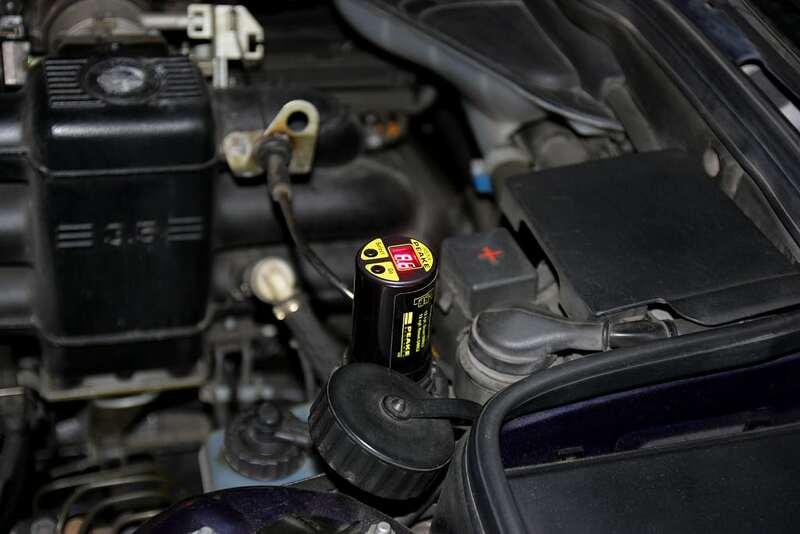 Always replace the engine oil filter when replacing engine oil! 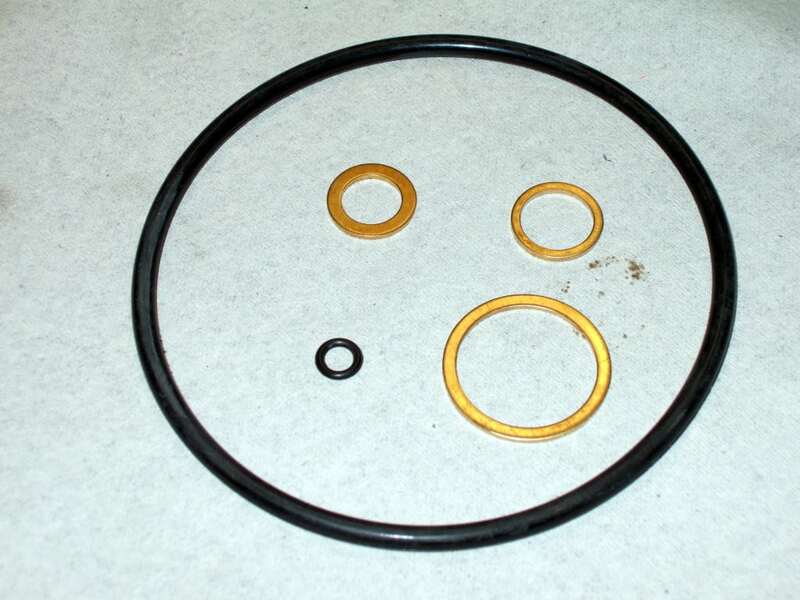 Gasket rins and o-rings shipped with the Febi oil filter. 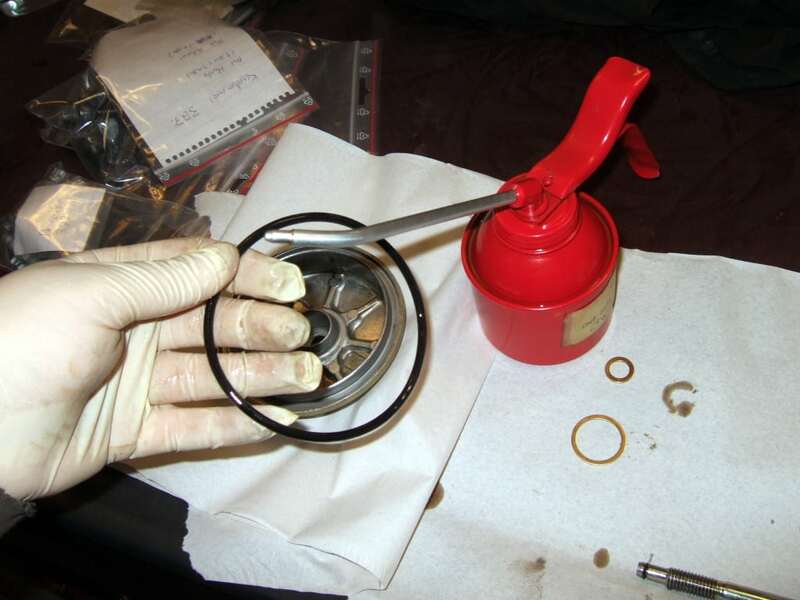 Start by removing the old o-ring in the oil filter housing cover. Use some small tool made in plastic if you have problems removing it (avoid using metal tools as you easily can mar the soft metal). The oil filter housing cover with the old o-ring still attached. 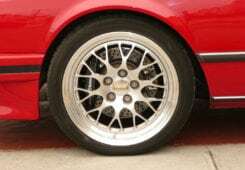 Take the new o-ring and smear a thin layer of engine oil onto it. Place it into the groove of the oil filter housing cover. 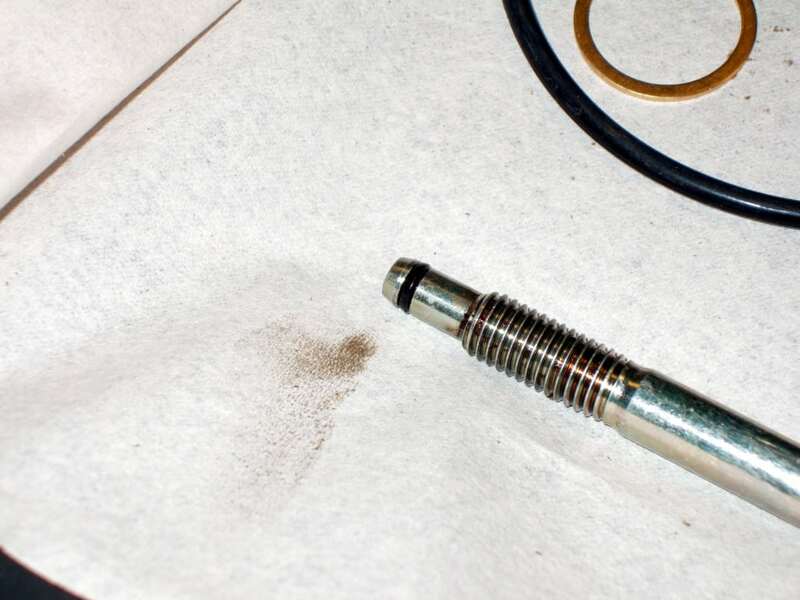 Smear a thin layer of engine oil on the new o-ring for proper sealing. 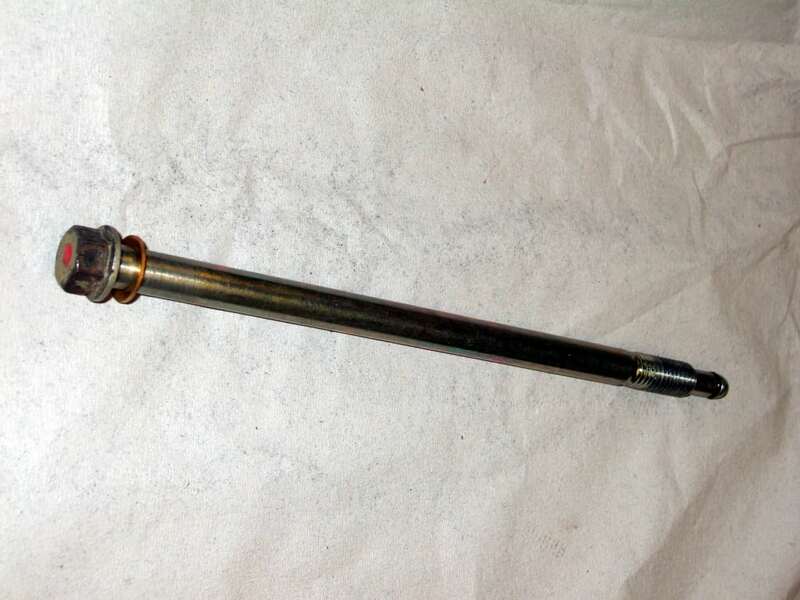 Next step is to remove the small o-ring on the tip of the bolt that goes through the oil filter housing. It can be a little bit tricky but use a sharp plastic tool and your fingers and it will slip of. Smear the new o-ring with engine oil and push/roll it into it’s grove (simply place it at the top of the top and push it down). The oil filter housing bolt with the old o-ring still attached. 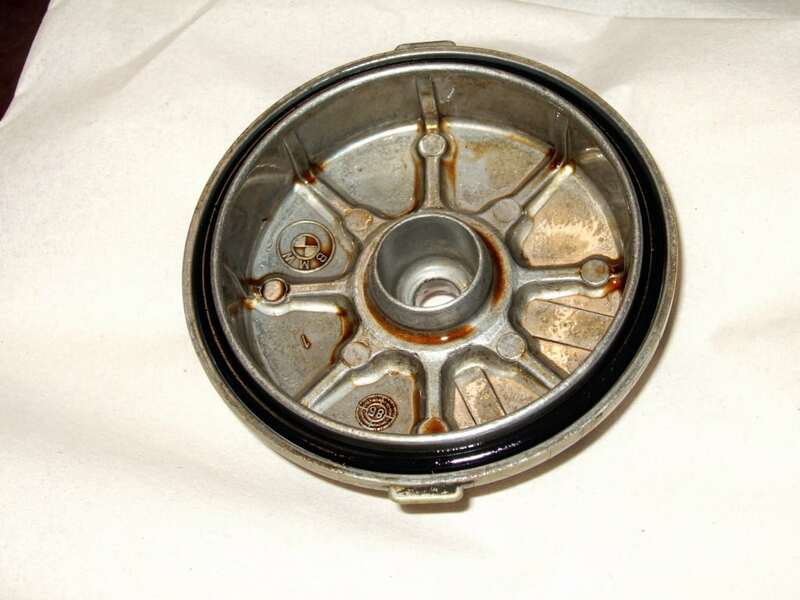 Discard the old gasket ring under the bolt head of the oil filter housing bolt as well as on the drain plug. Tread the new onse onto the bolts. Here I used the the gasket ring supplied by the oil filter manufacturer for the oil filter housing bolt but used one of my own copper gasket rings for the drain plug (have a fairly large supply of these). The oil filter housing bolt with the new gasket ring. The drain plug with the new copper gasket ring. Well, now you’re ready for filling up new engine oil. Almost! 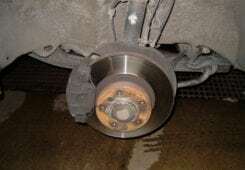 Start by putting back the drain plug. 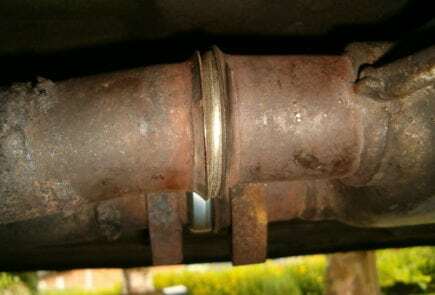 Double check you have a new gasket ring. These gasket rings CAN NOT be re-used. Now torque it down to 25 Nm. 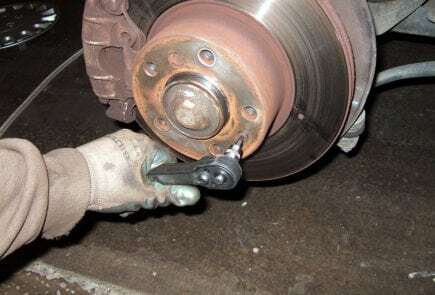 Don’t overtorque! 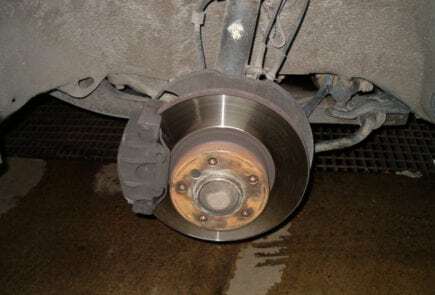 It’s not a wheel bolt! Insert the new oil filter into the oil filter housing. There is no up or down on these filters – you can insert it with any end first. 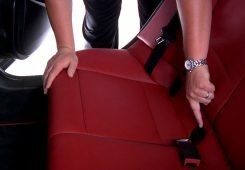 Put the cover on and insert the bolt and start to tighten it down as you make sure the cover is tightened down correctly. Finally torque the bolt down to 33 Nm. A shiny new oil filter ready to be installed! Now it is time to fill up with fresh new engine oil. 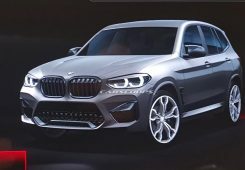 The engine oil capacity for common models can be found in the end of this article. 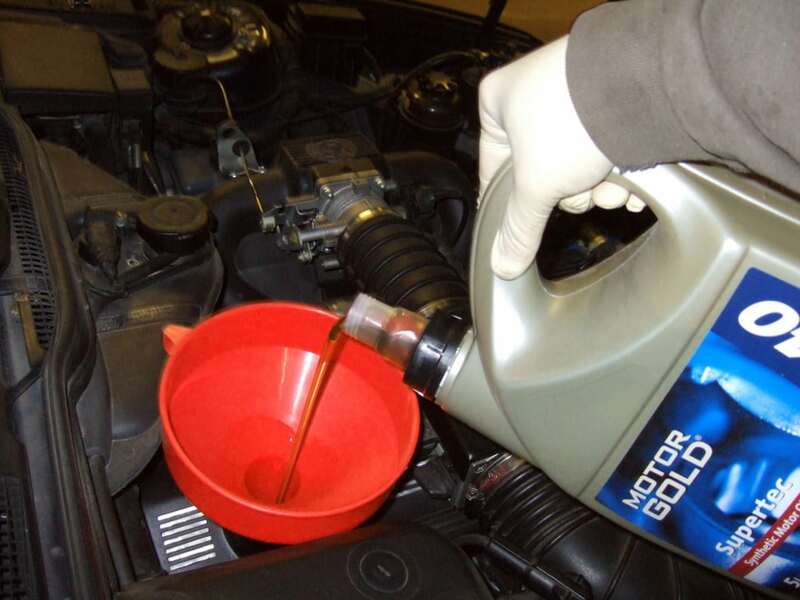 Avoid adding too much oil as this will not do the engine any good – in fact it will only make the life for the engine worse. Remeber – it is always a heck of a lot easier to add more than remove oil! Heavenly new and fresh engine oil is poured into the engine! Give the engine oil some minutes to find it’s way down to the oil pan and read the engine oil level. Add more oil if needed. Try to reach a level between min and max on the oil level stick (it goes approximately 1 liter of oil between the min and max markers). 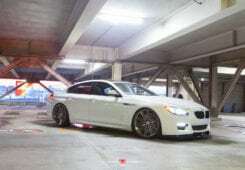 Start the engine and let it idle for a couple of minutes. The oil pressure warning light will be lit for a couple of seconds in the beginning (since we removed all the oil in the oil filter housing) but will go out – if not you should turn off the engine. So be aware of any warnings lights (such as low engine oil level or low engine oil pressure). 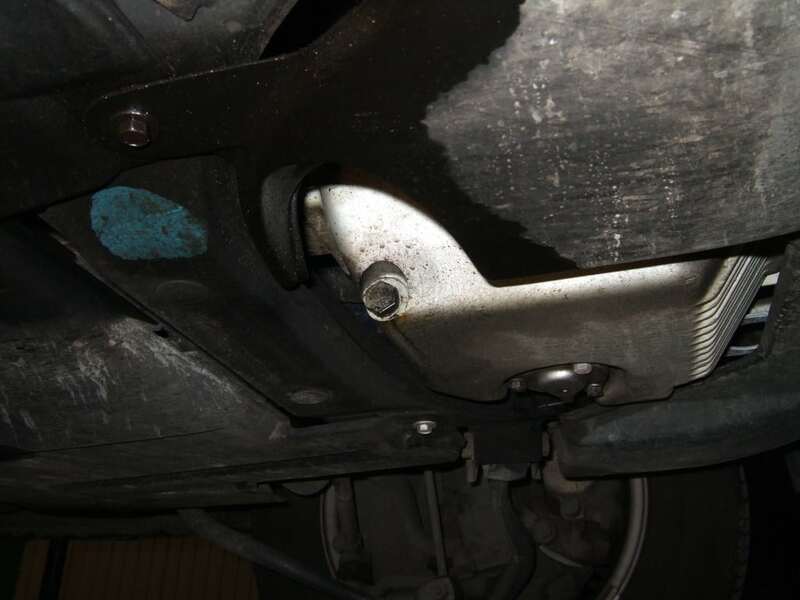 Check for any leaks – especially around the engine oil drain plug and filter housing. Then turn off the engine and wait for a couple of minutes to let all engine oil flow back into the oil sump. Read the engine oil level and add more if needed. 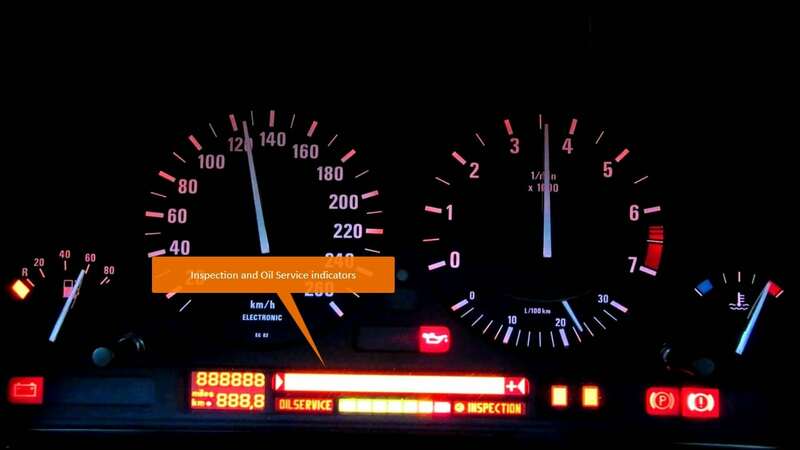 If you have a service indicator reset tool, it’s a good opportunity to reset it. I use the R5/FCX-II from Peake Research and it works beautifully. Resetting the service indicator using the Peake Research R5/FCX-II reset tool. All figures are with oil filter change.